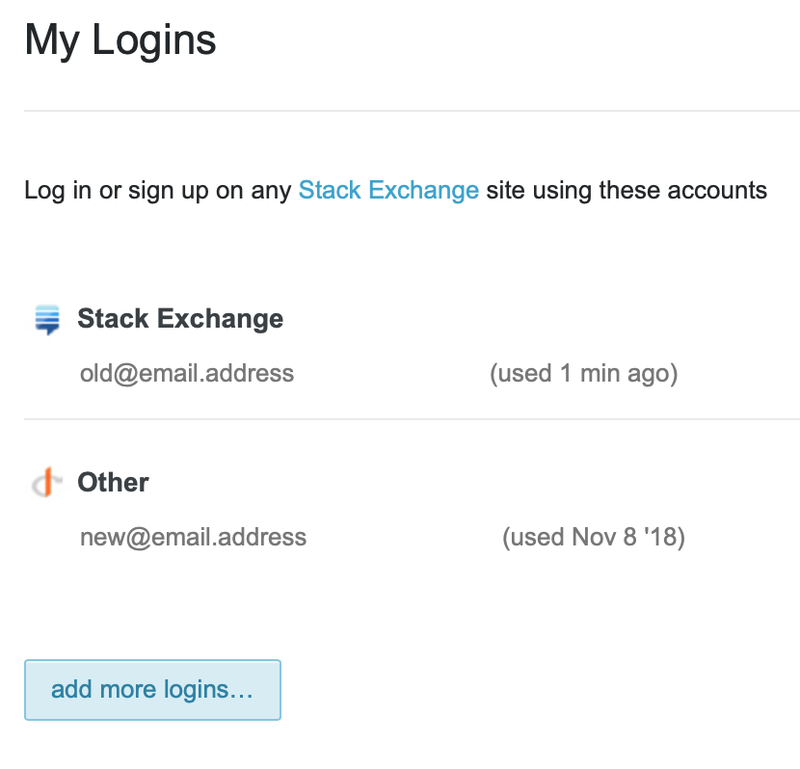 I changed my Stack Exchange email some months ago and it has screwed up my logins across the network. I have to login using the old email address once before I can use my new email address for each of the SE websites. The My Logins page says “login on any Stack Exchange site using these accounts” but that is a flat out lie. I’ve also been unable to remove my old email address as a login option. For every SE website, I can see that my old email address is still a valid login token for all of my accounts. This is not the expected behavior! Changing email address should remove the old email address and make the new one take affect across the network. Browse other questions tagged bug login user-accounts email stack-exchange-openid . How can I change the email address for my logins in Stack Exchange? How can I change my Stack Exchange login email?